I don't get trick or treaters. I'm going out to dinner to celebrate my birthday with my parents this evening. I wont' even be around. 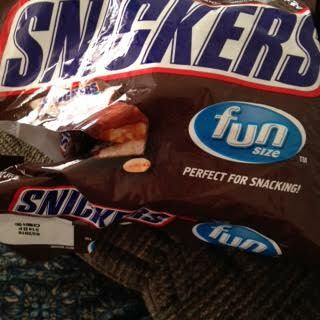 But a bag of Snickers managed to find its way home with me. And somehow it even opened already.